InterXchange ensemble Is a flexible ensemble dedicated to making international musical exchanges between Brazil and The United States. Ranging in size from a trio to an 18-piece ensemble, the group is assembled as required for its given musical needs. Co-founded and led by Brazilian arranger Gerson Galante and American composer Melanie Mitrano, InterXchange works on two continents, performing in Brazil’s largest city, São Paulo, as well as in the New York area. This unique cross-cultural ensemble performs a wide array of musical styles, spanning New Music, American and Brazilian Jazz, MPB (Música Popular Brasileira), Third Stream and Cross-Genres. The members are especially committed to premiering new compositions and arrangements that highlight intersections between Brazilian and American music. Through live performances and professional recordings, InterXchange seeks outlets for musical alliances such as repertoire swaps, guest artists, and pairings between American and Brazilian artists to create new works. The group actively strives to create collaborative opportunities with composers and other ensembles, cultivating a powerful musical cross-pollination on both the North and South American continents. 1st Place in the instrumental music category of the Tupi TV Music Competition. .
Ivan Lins Participates On A Camerati Disc The composer plays piano on a track of the first disc of saxophonist Gerson Galante, that will be released in May. Singer and composer Ivan Lins comes to Santo André today, to record a track on the first disc of saxophonist Gerson Galante, on the Camerati label. The disc, still untitled, will have a thousand copies released in the month of May. Also invited were the trombonist Bocato, responsible for the production, Maestro Zaccaro and the band Terra de Ninguém. 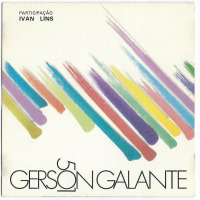 The first meeting between Gerson Galante and Ivan Lins happened in 1980, during the Novo Tempo tour. At that time, Galante was only 13 years old. 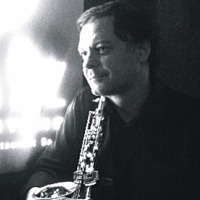 “The baritone sax was bigger than Gerson and he had to stay seated in a chair to support himself,” remembers the composer, who established himself with music of political protest from the end of the 1970s to the middle of the 1980s. Afterwards, the two followed different paths. Ivan Lins went to Rio. The recording will be pure improvisation, much to the taste of Ivan Lins, who will play piano and sing. The music will be chosen at the time. Beyond improvisation, sound quality is a great concern to Galante. The technical treatment of the disc will be the same shown to artists like Arrigo Barnabé and Eliete Negreiros, that had their Camerati recordings mastered in the United States. Mastering is the process that transforms the recorded sound from the studio into the final product, CD and vinyl. Among the repertoire are four pieces that Galante composed in 1990, the period during which he lived in New York. The ballads Full Moon and Winter Time boast the participation of guitarist Marcelo Gomes and bassist Zeli, both members of the band Terra de Ninguém, and drummer Paulo Mello. The samba 501 refers to the number of the New York apartment Galante lived in, and the waltz Elgin is the name of the theater he played at in Toronto, Canada. To escape the traditionalism of the genre, Elgin has altered measures, which opens space, according to Galante, to forge a jazz concept with a Brazilian language. The disc even pays homage to Arrigo, with the recording of Salsa Barnabé, composed by Bocato, who participates on guitar, and also to bassist Edu Fiori, who died last December. The Camerati label is preparing to officially enter the national and international record market starting in March, with a series of releases. The recordings were done last year in their Santo André studios. For that, the label is counting on weighty names in the São Paulo musical scene, like Arrigo Barnabé, Eliete Negreiros, Ná Ozetti, Pixinga, TNT, Groupo Rumo, O Beijo, And Gerson Galante The company Interdisc was contracted to do the distribution in Brazil and in the United States, Germany, France, Holland, Italy, England, Japan, Chile and Argentina. One of the marketing strategies to be adopted by Camerati, according to the owner Cláudio Lucci, is to not sell the product in Brazil in magazines and supermarkets, preserving their brand. Another bit of clout that the label is using to earn its place is the reinforcement of Doctor Toby Mountain, an expert in mastering who has worked on discs by the Rolling Stones, David Bowie and Frank Zappa, among others. Doctor Toby receives the material recorded by Camerati in his studios in Boston, USA. The first to be released are Arrigo Barnabé, Pixinga, and TNT, anticipated in March. The discs will go out on CD and vinyl, in an initial media edition of three thousand copies. All About Jazz musician pages are maintained by musicians, publicists and trusted members like you. Interested? Tell us why you would like to improve the Gerson Galante musician page.